Get ready to see demonstrations from some of your favorite celebrity chefs and restaurateurs, connect with exhibitors and learn about new processes in the industry, listen to presentations from some of the top people in the hospitality field, check out some cool food sculptures, and of course, even sample some delicious dishes. Two years ago, a certain celebrity came over to visit our booth from a T.V. 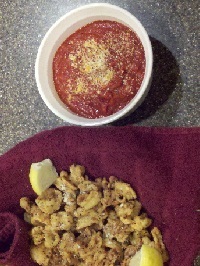 show that will remain nameless (though it does go well with dip), and ended up wearing our chef coat all day! Are you going to the show this year? 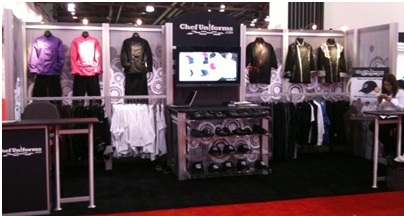 If so, be sure to stop by the ChefUniforms.com booth, # 514. For more information on the show and a list of attendees, visit show.restaurant.org/Home. Another year has come and gone, and we’ve made it through another exciting NRA Show. A few of our wonderful sales representatives were able to make it to the NRA Show this year, where they met Peter Del Cotto and Kimber Hoang, our two NRA Contest winners. Below is a picture of our team with Peter: (From left to right) Yary, Diana, Peter (the contest winner), Chanty and Leslie. When reflecting on their experience at the NRA show, our team said,” Meeting customers was a great experience because it not only gave us the opportunity to stay in touch with them, but we were also able to see what our customers thought of our brand.” Our team was excited to be able to take Peter out to dinner on Sunday night to the Grand Lux Café, where they could speak with him one on one and gain insight as to how our customers perceive ChefUniforms.com. 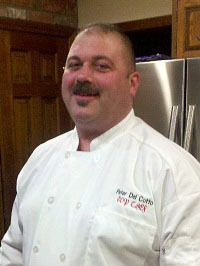 Peter mentioned how he was happy to be at the show and thanked our team for the opportunity ChefUniforms.com gave him. 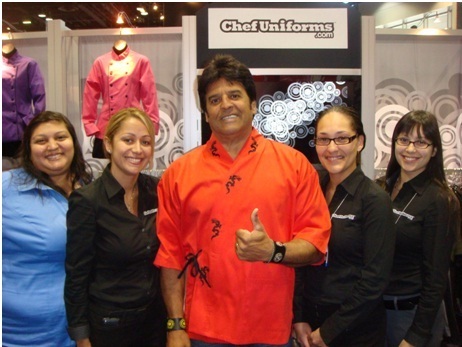 We even had some celebrity guests come and visit our booth, including the one and only Eric Estrada. Not only did Eric come by and try on one of our chef coats but he also kept the coat on all day as he walked around the show! 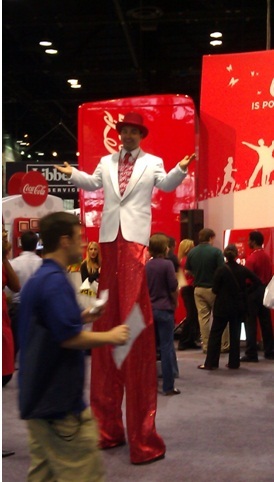 This year our booth was located across from the Coca Cola booth, where they had a representative on stilts. There was a lot of foot traffic at this new spot, so the team was able to meet and speak with more people from all over the country. Overall, the trip was a rewarding experience for everyone. 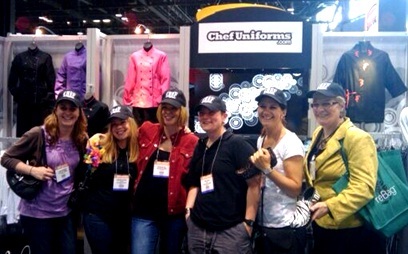 Our ChefUniforms.com team had a great time meeting new people, gaining feedback from our customers and learning about new innovations in the culinary industry. I know I speak for the whole team when I say that we can’t wait to see what’s in store at next year’s NRA Show! For those who don’t know about the NRA show, it is taking place in Chicago, Illinois from May 21-24. The NRA allows attendees to preview the most cutting-edge kitchen equipment, meet top culinary professionals, and find out what’s cookin’ in the restaurant biz. A special Keynote Presentation by General Colin Powell (yes, the Colin Powell). You can attend the International Wine, Spirits and Beer Event, where you can learn how to make new concoctions and even taste new types of beverages. At the Technology Pavilion you can watch demonstrations or listen in on an education session. Into Organic food? Head over to the Organic & Natural Pavilion where you can check out the latest trends in natural products. The Kitchen Innovations Pavilion displays the most innovative kitchen equipment on the market (go figure). The International Cuisine Pavilion is your source for traditional meals and beverages from different cultures around the world. This event is going to be one for the books! Below is a photo of last year’s NRA Show. You can tell our guests were excited to be at our booth (note the spiffy hats), so come check it out for yourself this weekend. We Hope to see you there! Come on, folks. We’re talking about the trip of a lifetime! You will be able to meet new and exciting people, learn new and exciting things, and take a new and exciting trip… oh! Did I mention it’s all FREE?! Take a chance and enter our contest. Who knows, you just might win! If not, hey! 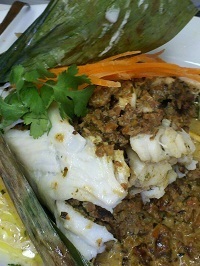 You still get a 10% off promo code just for entering, which you can use during your next visit to ChefUniforms.com! It’s a win/win, what have you got to lose? Trust us when we say you don’t want to miss this year’s event! Win A Trip To The NRA Show from ChefUniforms.com! Attention all culinary professionals and culinary students! Do you dream of meeting some of the most influential people in your industry? 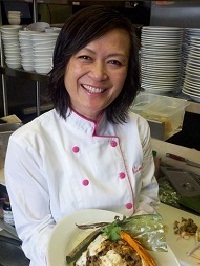 Do you love to learn and experience new and exciting things in the culinary field? Do you like free trips? If you answered yes to at least one of these questions, we’ve got the opportunity of a lifetime for you to win a trip to the NRA Show—on us. 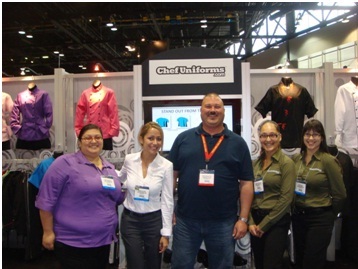 ChefUniforms.com will be sending two lucky winners to the 2011 National Restaurant Association Show in Chicago, Illinois! But wait… there’s more. Not only will the winners get into the NRA show for free, but they will also get an all-expense paid trip to the NRA show which includes: round trip flights to Chicago, a four night stay at the Club Quarters Chicago Central Loop Hotel, a check valued at $425 for taxi fares and meals AND your very own featured article on our Chef Vibes Blog! I know you’re thinking it can’t get much better than this, but it does. While there are only two grand prize winners, everyone who submits a complete entry will get a 10% off promo code which can be applied to your next purchase at ChefUniforms.com! There’s got to be some sort of catch, right? Nope, no catch. 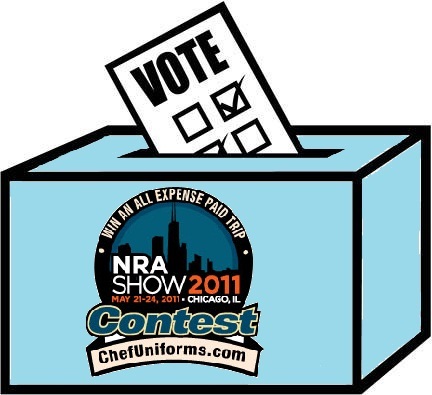 All you have to do to enter is fill out our online entry form at www.chefuniforms.com/contest (by April 3rd), submit an original recipe, a photo of the dish and of yourself, and a short description of why you believe you deserve to go to the NRA. You will then be sent a link to your very own voting webpage on April 4th, which you should send to all of your friends and relatives, encouraging them to vote for you. Votes will be tallied after the virtual voting booths close on April 29th, and the Grand Prize winners will be announced on May 2nd.